Few family members I will miss, but their reaction to our news was disappointingly lame or even nonexisting! There was no enthusiasm or even words like 'we will miss you'... Some years ago when I moved away from my hometown people got mostly worried about the thing, that they won't see my dog so much anymore... Interesting relatives I have! So all this makes me just think, that they don't really care and if that's so, then why should I even miss them. This makes my leaving even more easier! Hopefully I will find some kind of substitutes to these two things on our journey. At least beautiful flowers will be all over, just can't start looking after them... I also hope to be able to visit some karate clubs around the world and get some new experiences and share viewpoints... 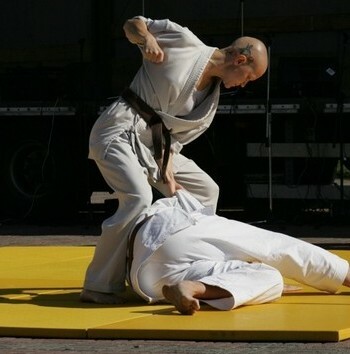 So I will be very happy to get invitations from other karatekas (or even other martial artists) to train with them or get hints of nice club whereabouts! Sorry about my nonexisting reaction to your trip.. I've never been good at expressing my feelings or thoughts.. Anyway I've read this blog and your plans sounds exiting I'm genuinely happy for you and maybe a little jealous that you have the courage to do something like this.